The right levels of Vitamin D and Vitamin B12 have the ability to transform your health and your skin in a matter of weeks. With more people eating less meat and millions of people not spending enough time outdoors, the health of our skin and our bodies is in trouble. I now take a daily B12 supplement at the behest of my doctor and it has transformed my quality of life practically overnight. It was really quite dramatic. The impact these two vitamins have on your health and skin might be shocking to you, and you may have no idea your levels are low or that you are deficient. Kids are susceptible, too! The benefits of vitamin D are essential to your overall health. Perhaps the greatest source to receive vitamin D is through sunshine, however many foods also possess vitamin D. For those of you stuck in an office all day and who are too busy with life to get out and enjoy enough sun, you could already have symptoms. Vitamin D can help you to ward off various illnesses and diseases such as the flu, heart disease, and multiple sclerosis. This essential vitamin also helps to reduce depression, hence the origins of the winter blues, and it also promotes weight loss. According to Harvard Health, even if you spend time outdoors a few factors may lower your absorption levels including your proximity to the equator, pollution, darker skin pigmentation, and older individuals. While you might think that using sunscreen would deter your absorption rate, according to this same publication, you would have to use an extremely excessive amount of sunscreen to hinder the absorption of vitamin D.
Vitamin B12 is essential to your red cell production, nervous system, and immune system. 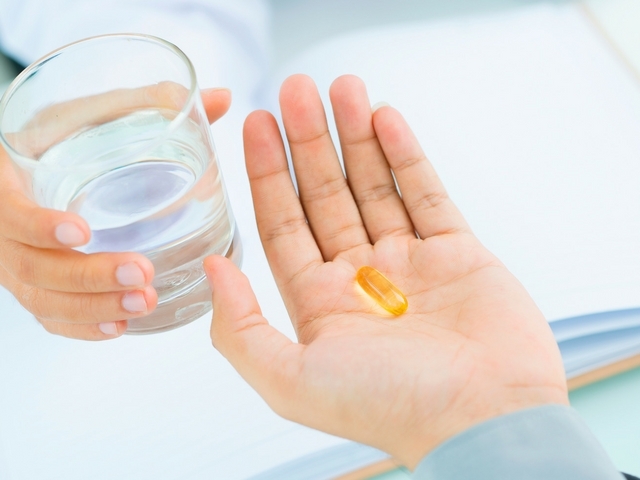 This vitamin is a bit of a heated topic with many individuals as they feel many doctors do not think to test for it straight away, perhaps because so many of the signs and symptoms can be associated with other health concerns. The source of low or deficient B12 levels can originate from many sources including heredity, lack of eating enough animal products, people over 50, alcoholics, people with eating disorders, postnatal depression, and others. If low levels were to go untreated long enough, it could result in nerve damage, the need for a blood transfusion, or even psychiatric conditions. While such results are a bit frightening, many people can prevent reaching low levels before they become an issue. If you are a vegan or a vegetarian, be sure to speak with your doctor about supplements and alternative sources such as nutritional yeast and fortified foods. When I went to the doctor, I had convinced myself I had loads of different illnesses. A B12 deficiency never crossed my mind. My doctor and I had a good laugh as I was telling her that I should never have Googled my symptoms. She was almost immediately certain of my low levels of B12, however being the great doctor she is, she still checked for many other possible issues, too. If you are not receiving enough vitamin D or B12, your quality of life could quite easily diminish greatly, however, symptoms may take years before they appear. You might become depressed, drastically lose energy levels, or even begin to feel lightheaded and dizzy. To improve upon the state of your health and skin, be sure to have your levels checked if you experience any of the signs or symptoms listed above that are often associated with these low levels and deficiencies. One last note: It is possible to take too much vitamin D or B12 which can result in toxicity. So again, consult your doctor if you feel you may have low levels or a deficiency before taking matters into your own hands to optimize your health and skin conditions. Really amazing blog! I really want to thank you for adding such useful information about vitamins and their link with our health and skin.